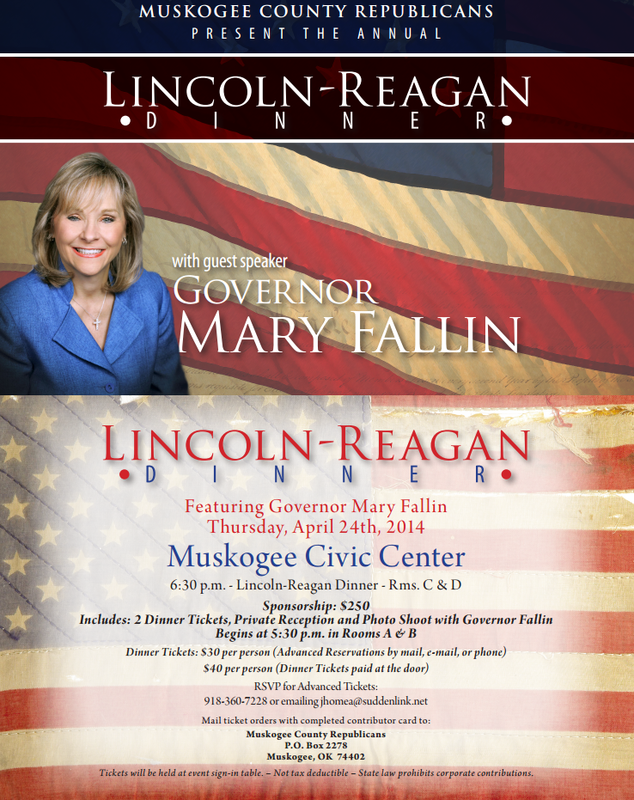 The annual Muskogee County Republican Party Lincoln-Reagan Dinner is tonight, starting at 6:30pm, at the Muskogee Civic Center. Dinner tickets are $40. Governor Fallin is the main speaker, but candidates will be given time at the end of the event. Also taking place will be the awarding of the Muskogee County GOP's annual college scholarships.